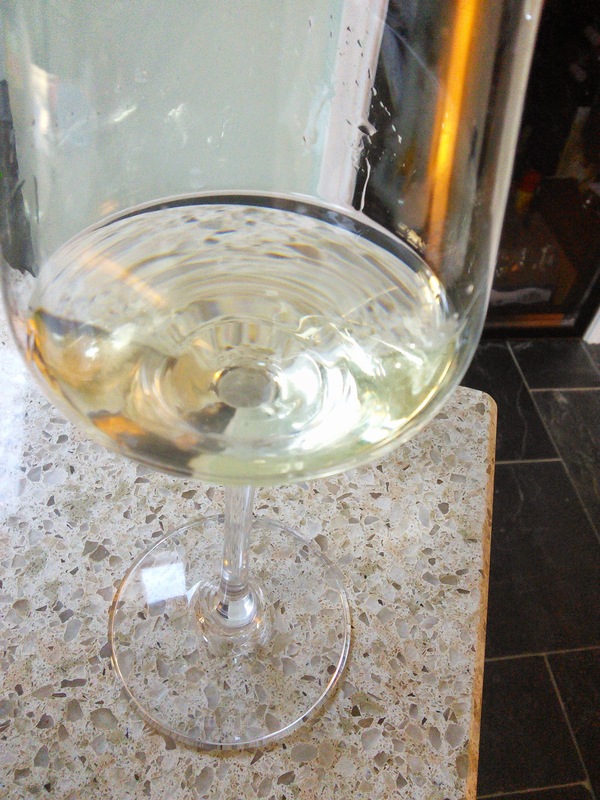 World Cup final rerun – Germany -v- Argentina and it’s wine this time. I am not a great fan of football (rugby union being my spectator sport of choice), so didn’t really pay much attention to the Word Cup. I did have a good laugh when the overpaid and always wildly overrated English squad (I am English by the way) did what they do best at international level (that being achieving abject failure – lessons will be learn, yes of course they will !!! Main one being they are cr@p!) and was left open mouthed (excuse the pun) with astonishment at the Luis Suarez incident (who’d have thought you could combine a love of eating and football – “Which player would you like to dine on this game, Sir? The special of the opposition left back is particularly tender, his shoulder having been marinaded in Deep Heat.”). I watched a bit of the final, along with the Germany – Brazil game, both of which were entertaining enough (unless in terms of the later you are Brazilian in which case take solace – not much I grant you – from being a whole lot better than England but then so is the German under 12 team). With Germany triumphant I thought it would be an idea to rerun the final contest, but with wine. It would be simple to play to each countries strengths, wine wise (Germany – white wine, notably rieslings and Argentina – red wines with its malbecs and increasingly interesting bordeaux blends), but where’s the fun in that. 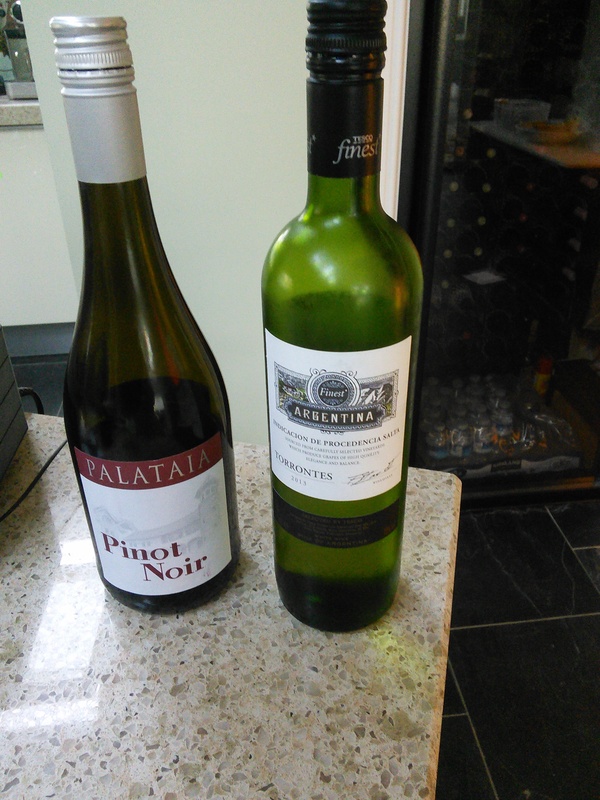 I therefore picked a German red from Marks & Spencer, in the form of a Platz pinot noir, and an Argentinian white from Tesco, in the form of a Salta torrontes. 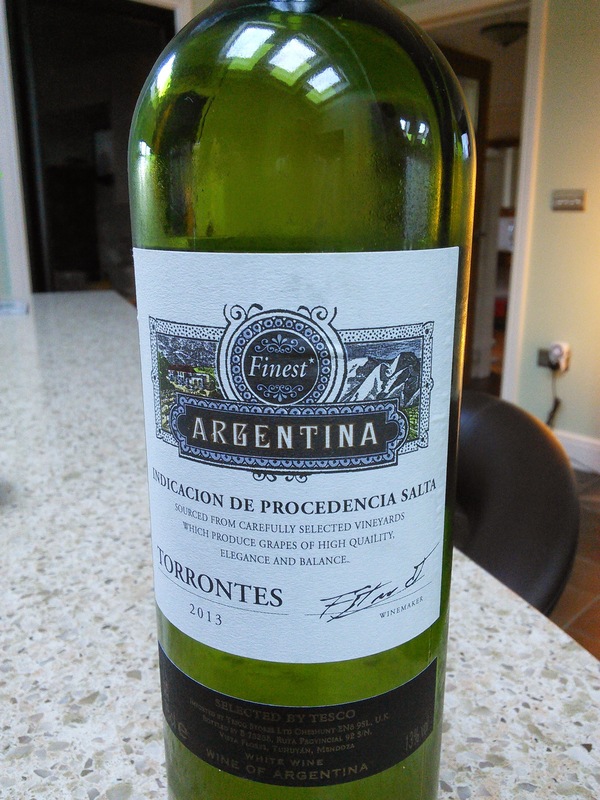 Tesco Finest Torrontes 2013 (£6.99). Torrontes is Argentina’s signature white wine grape and wines produced from it are suppose to be fresh and aromatic with stone fruit (peaches, apricot) aromas. The Salta region, in the northwest of Argentina (bordering Chile and Bolivia), is where this wine comes from and is particularly noted for the torrontes grape, which likes the cold, dry and windy conditions prevalent in that area of Argentina. I am not really familar with torrontes wines (this being the first one I have tried), but it has a reputation for being a bit perfume counter, which is not a style of wine I am overtly fond of, if I am honest (other than in a really good gewürztraminer that is). In the interests of research and expanding my horizons wine wise, however, I approached it with an open mind . In the glass it was a pale straw colour and the initial aroma was of lychees. With a little time in the glass and a good swirl this developed into a rather pleasant apricot. On the palate initially there was a rather odd floral talcum powder taste (reminiscent of the stuff an elderly aunt gets given every Christmas!). Thankfully this dissipated as the wine sat in the glass (aeration initially may therefore get rid of this from the off) leaving principally apricot notes. Pleasant enough, but a bit bland. Certainly not a “Messi” of a wine, more a journeyman pro. It was drunk along side a stir fry and benefited from the spice in it which seemed to pep up the wine a bit. Torrontes are suppose to match well with spicey food. Not bad for the price, but not exactly “back of the net”. Most people associate pinot noir with the Burgundy region of France, maybe the USA and increasingly New Zealand. It is actually grown in a fair few places, but I suspect if you asked 100 people to name a country where it is grown not many, if any, would say Germany. It may, therefore, be surprising to many people that pinot noir (Spatburgunder in Germany) vines make up 11% (11,300 hectares) of Germany’s vineyards. This is third only in area to France and the USA and more than New Zealand, Australia and Chile put together. Despite this, German pinot noir is amazingly difficult to get hold of on the high street in the the UK. In my quest to find some, the ever reliable Marks & Spencers came up trumps. I have said it before and will say again good old M&S are really leading the way wine wise on the UK main stream (non specialist merchants) high street, with some really interesting wines. This wine was no exception. 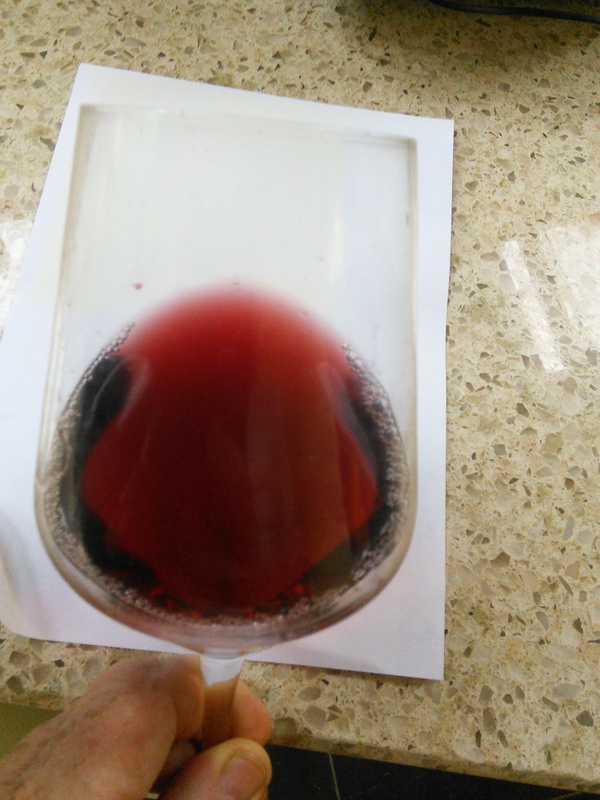 In the glass, it has that lightness of colour so typical of a pinot noir wine. On the nose there was more than a touch of the farmyard (again typical pinot noir). This is a good sign in a pinot noir and is much nicer than it sounds. After sitting in the glass for a bit and having been given a good swirl, spice aromas were added to the mix. All in all nice on the nose. On the palate there were pleasant summer berries (predominately raspberry), with a touch of slighly sour cherry and smoke. Nice, but there was not much staying power in this wine with a dictinct lack of length (how long the taste lingers on the palate). Not good if this contest where to go to extra time unless brought on as a super sub aka Mario Gotze (ooh pleased with that football link). The price of this wine is a somewhat refreshingly honest £10 rather than the £9.99 you would normally expect (as that is soooo much cheaper than £10 and I would never buy it if it were a penny more would I). Not cheap in general terms, but good value for a decent enough pinot noir and certainly much cheaper than a comparable burgundy. A curious thing about this wine is the tiny, tiny, tiny words that say “Product of Germany” on the label. For someone of my age it is almost impossible to see it as it is so small and as a result is all but hidden. 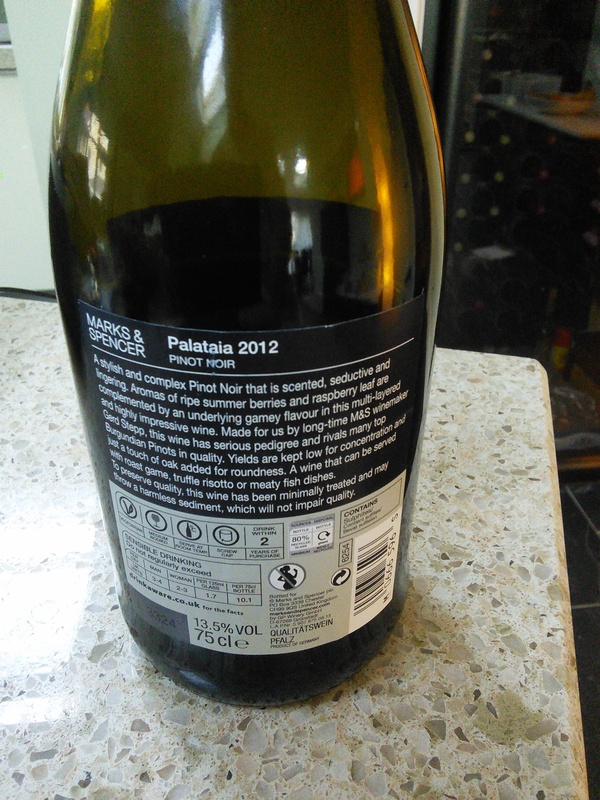 Why – are the wine makers ashamed or, more likely, do M&S think that may not aid sales? Compare this to the torrontes where Argentina is displayed prominently on both front and back labels. Come on guys, it’s from Germany (you bought it from there) and it aint half bad. We won’t on seeing the word Germany think oh God it must be Blue Nun and run a mile – honest!!!!. Are you ashamed of where it is from M&S? So where does it say Germany? A clear win again for the Germans – this time without the need for extra time. The Palatia, whilst the pricier of the two, simply had too much class for the Salta torrontes. 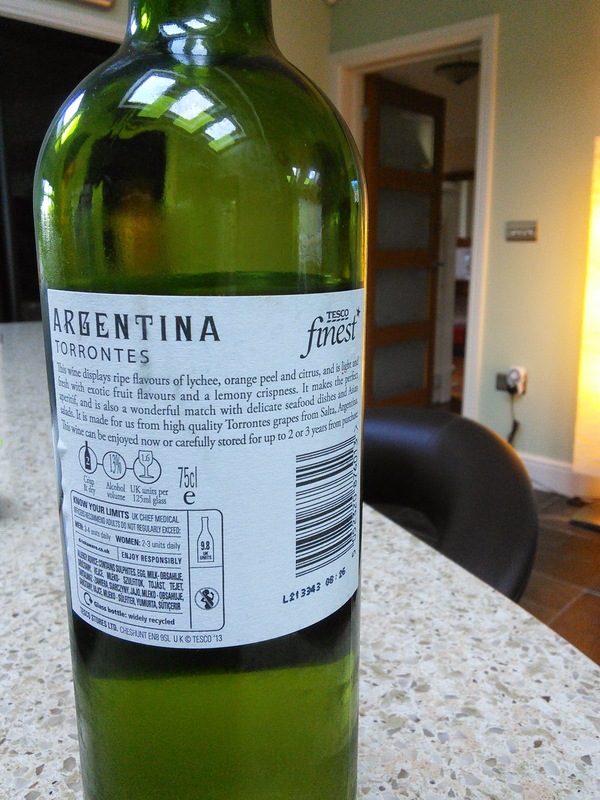 I am sure the torrontes will have its fans as it is a perfectly acceptable wine, just not really my cup of tea. 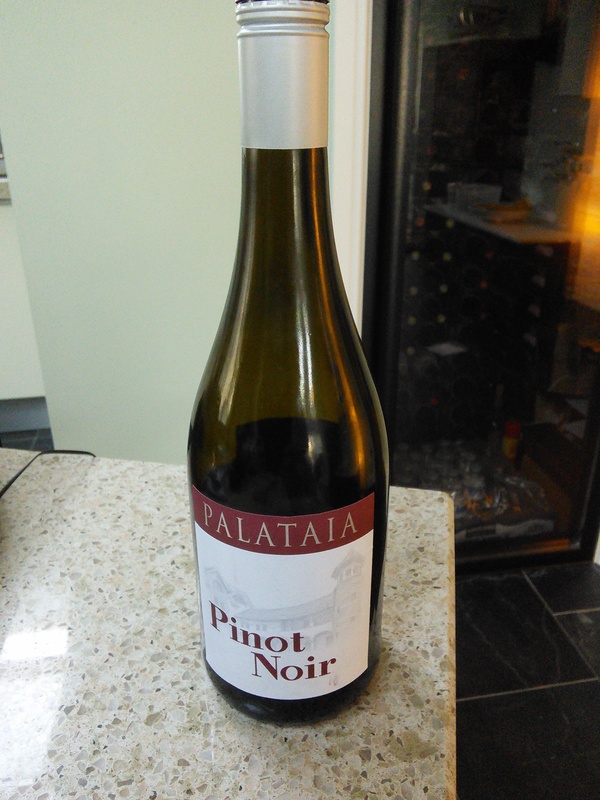 As for the Palatia, this a nice drop (if a bit wanting in terms of the length of time it stays on the palate) and good value for a decent pinot noir. I am a definite fan. Would I buy again? Definitely yes for the Palatia (this is not the first time I have bought it nor will it be the last). As for the torrontes, hmmm not sure I would, but more because it is not a style of wine I favour than anything being wrong with it. I may try a pricier one to see if a step up in class helps win me round to the torrontes grape. Currently I remain to be convinced about this grape. The winner - Germany again. Thank you very much for your excellent post, and yet the Argentine national team – the best, just in Brazil, we were not lucky. Commiserations regarding the World Cup final – best two teams got there. As for wines will try the torrentes again as was an interesting wine but one tried perhaps not the best example. Love Argentinian red and may well grow to the whites . Any recommendations re a good torrentes? 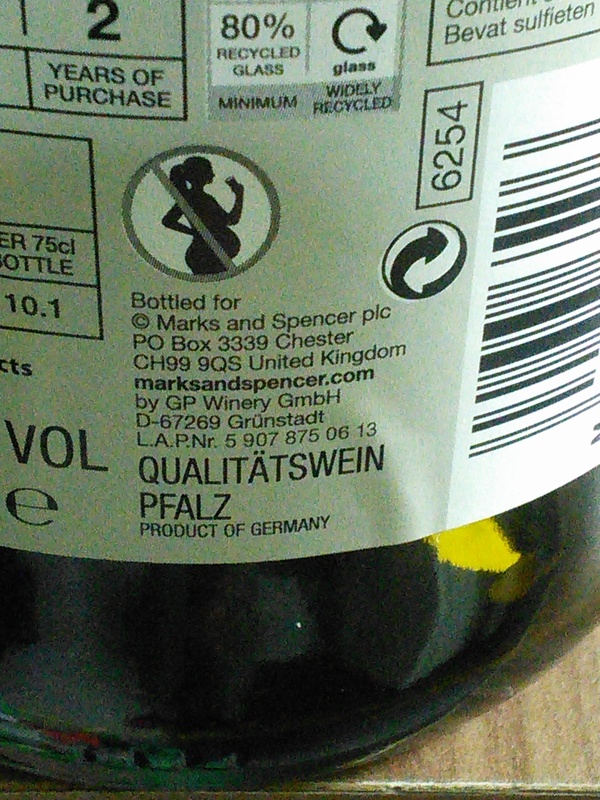 This entry was posted on Jul 20, 2014 by solicitingflavours in Argentinian wine, German wine, Marks & Spencers, Pinot Noir, Red Wine, Supermarket wine, Tesco, Torrontes, White wine, wine.